Daniel Radcliffe and Bobby Cannavale to Star in Broadway’s Lifespan of a FactPerformances begin at Studio 54 on September 20. 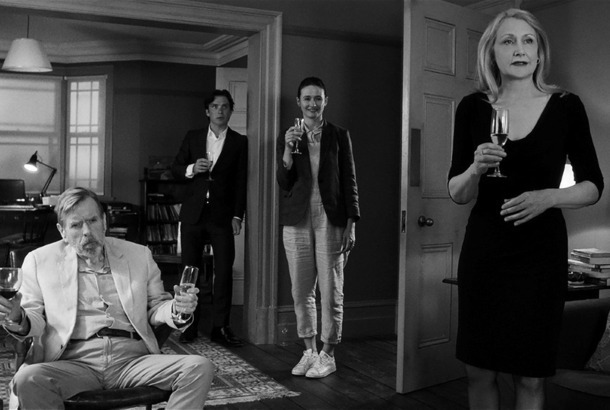 The Party Puts Its Politics Front and CenterWriter-director Sally Potter returns with a brief and darkly amusing specimen of the dinner-party-from-hell subgenre. Cherry Jones to Play Offred’s Mom in Handmaid’s Tale Season TwoShe was Elisabeth Moss’s “fantasy” choice for the role. Cherry Jones Pulls Herself Out of Emmy RaceAfter winning last year, the actress bows out. Even Tommy Lee Affected by RecessionPlus: How does Nick Jonas celebrate Valentine’s Day? New ‘24’ President Cherry Jones Almost Spoils Upcoming SeasonOn the phone last night, New York stage darling Cherry Jones almost spilled a few good beans on 24’s seventh season (premiering January 13), in which she plays President Allison Taylor.